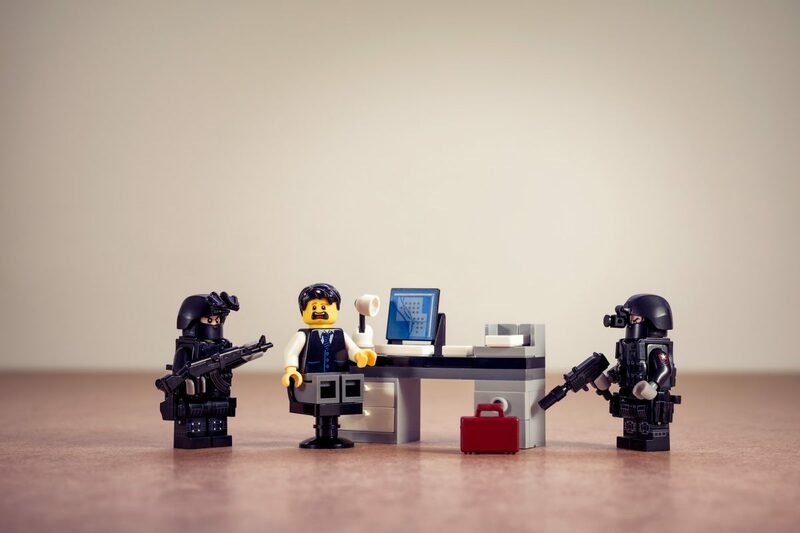 #OpenBlog19 Are we the baddies? – Do academics dream of electric sheep? #OpenBlog19 Are we the baddies? I’ve been thinking a lot about critical digital literacies and how I, as a supplier and ‘evangelist’, balance my professional role and my personal views. It has lead me to ask “are we the baddies?”. Well, I suppose I’m talking about those of us who make decisions about technologies, promote technologies or supply them. Particularly, institutionally-provided technologies. Those of us in the dreaded center *insert villainous laugh here*. I am a supplier of services. Those services involve technologies. I am party to, although rarely the ultimate decision maker on which technologies are implemented at my institution. I am a peddler of technological wares. My job is to ‘encourage’ people to use them. I am judged/measured on that usage. If I had a £ for every time someone asked ‘how many people actually use X’, I wouldn’t work at a University, I’d own it. 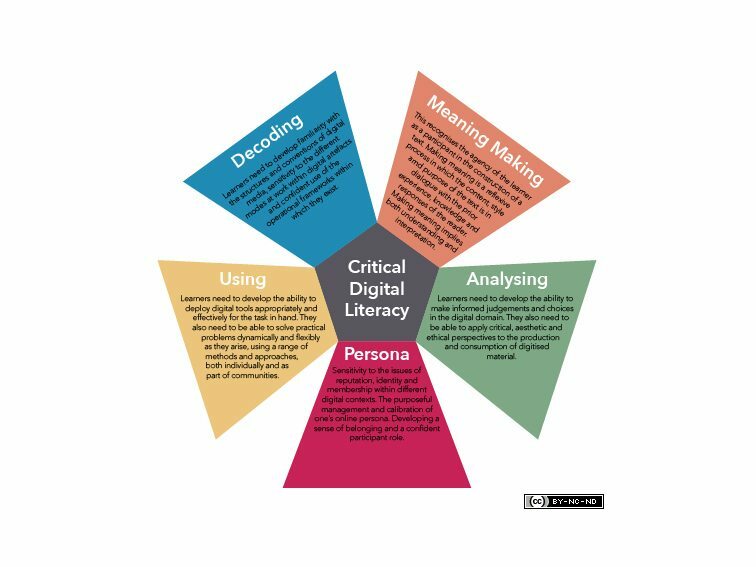 What are critical digital literacies? Critical digital literacy is a broad church but I rather like the model above or at least it’s a good place to start. To do a poor job at paraphrasing, digital literacy is the understanding, analysis and reflection on digital tools, data and information. It’s about context in every sense of the word. It’s about ownership and motive. It’s about critical reflection. I once heard Teresa MacKinnon describe critical digital literacy as “digital wisdom”. I rather like that. A recurring HE conversation is around Turnitin and it’s use of student data and intellectual property. For more background, and a far better exploration of the issue, see Jesse Stommel‘s article A Guide for Resisting Edtech: the Case against Turnitin. I weighed in on Twitter and it is on Turnitin that I will focus in the rest of this post. Forgive the over the top analogy but sometimes an unsubtle point has greater impact. I encourage, and if the University mandated it would have to enforce, the use of Turnitin. Am I complicit in something that is, to my critical heart, ‘wrong’? Am I forcing people to use something against their better judgement? Can I stand idly by and say I’m just following orders? This is where I become frustrated with critical digital literacy discourse. We can all wag the finger and say “you shouldn’t do that”. We can all say that company is bad and we should boycott it. There needs to be more in the discourse to consider the impact of ‘practicalities’ (things we must do) with the things we’d like to do. We make choices in our personal lives daily. Which technologies we use and how much we’re willing to compromise to use them. Personal data being a perfect example, there’s no such thing as free, read the Ts & Cs. The same applies to Turnitin. It doesn’t work as well without a pool of student essays, therefore, to get the benefit they have to be relinquished. We could argue about what they do with them afterwards but I’m not going to here. Other people have done it better. I’m merely illustrating the point that technologies often come with an inherent compromise. Anne-Marie Scott wrote a brilliant and thought provoking blog on the recent sale of Turnitin and a student’s understanding of how they make their money. Read Meaningful Networking here. It was this post and discussions at ALT West Midlands that made me sit down and start thinking about this. Sometimes my critical heart has to take a backseat to my professional head. Something needs to be done and I have to do it. What I need is alternatives. I need collective action. I need an education sector who has the power to change company policy. I need some way for my critical heart to intervene in decision making. So I’ll leave it hanging here, like a fart in a lift. This blog was written in response to Amber Thomas‘s call for #openblog19 posts. See Amber’s Change and Transformation contribution here.